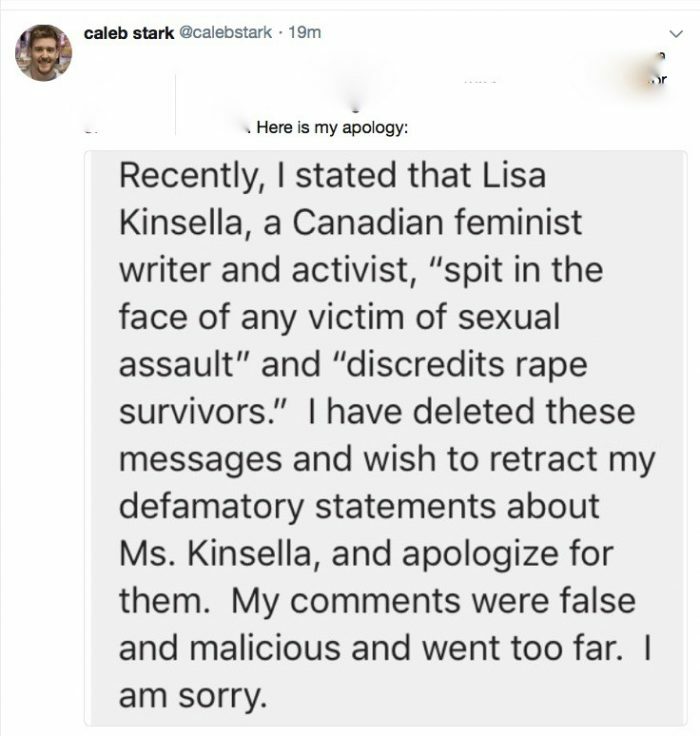 He’s still spouting libel – and he’s published Lisa’s private phone number, which has resulted in harassment and threats – so his problems will continue. 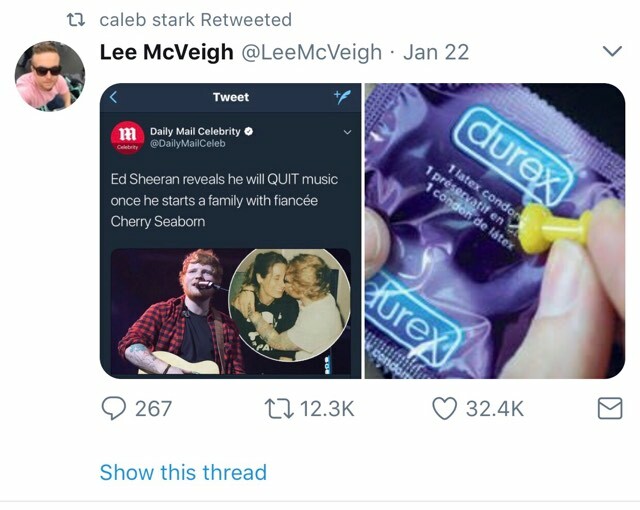 UPDATE: And this, sent in by a regular reader – Caleb promoting “jokes” about sexual assault? No need to post either of my replies. Is this the guy? Looks like he could be found in NS if he flees NB. There is a professor at Mount A with the same last name who may have a connection him. The Charlie Hunter Award, which is presented to a student who has shown exemplary student leadership and demonstrated commitment to student involvement and engagement, was awarded to Caleb Stark from Westport, NS. Stark has been highly involved with SMILE, house executive, the Mount Allison Students’ Union, the sociology department, and Shinerama.